Calling all artists and residents!!! Meet the ICA board and staff and find out what they have planned and opportunities to get involved in. Find out about new grants!! Light refreshements will be served. Tables will be available for artists to show/sell their creations and information. 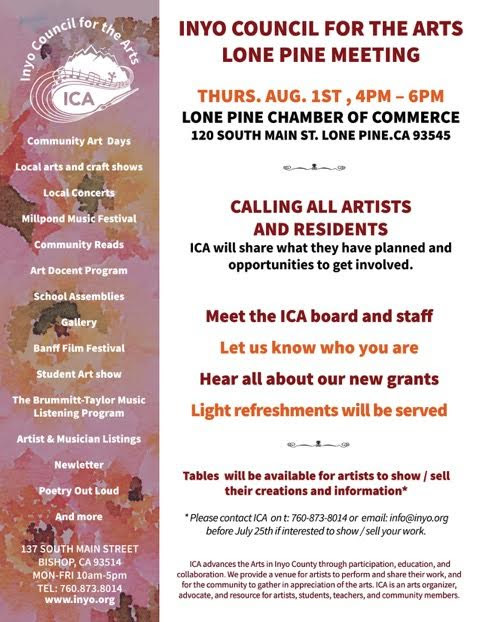 Contact ICA at (760)873-8014 before July 25th if interested in showing/selling your work. Share this story on the web!